Puydarrieux Lapène as seen from our house. Looking north east over the ridges that spread from the Pyrénées. 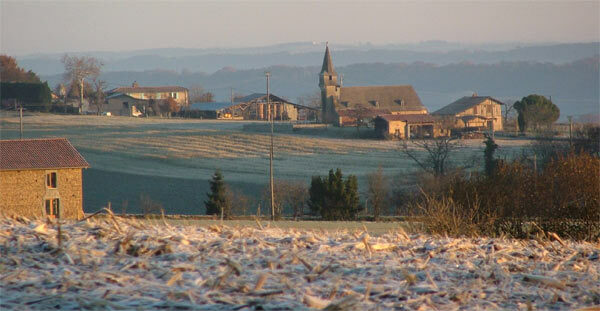 The clear sunny days also bring cold, frosty nights, creating stunning early morning landscapes. 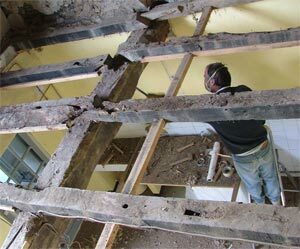 Our all-rounder, Terry Martin, bares all to discover how rotten the beams actually were. And we were walking on them! The Pic du Midi, the highest mountain in the Hautes-Pyrénées. 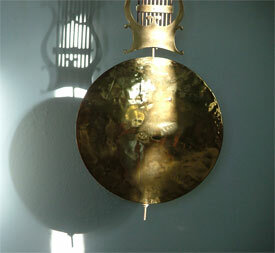 Ever present throughout the sunny winter days. Animal loving Caroline became the HUNTER! Up a bit, down a bit. I still can't see them! 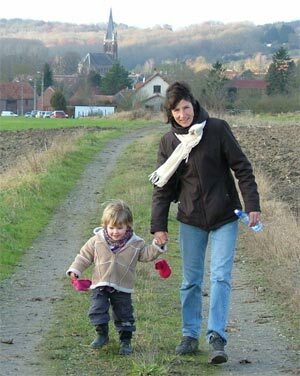 Walking off the festive excesses in the Somme, during our Christmas visit to Fargny. Caroline seen here with her niece, Inez. 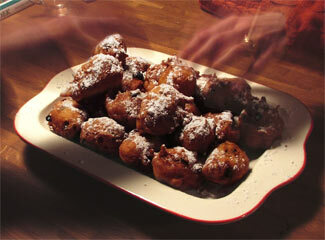 Oliebollen. Get 'em while they're hot!! After the week in South Africa, Perry returned to the cold. The ceiling in the back kitchen was off and Caroline had been braving the weather each morning on the way to the shower. Wishing that we had perhaps not decided to renew the beams above the back kitchen during a mini ice age, we had to bite the bullet and let Terry finish the job. (See Our House section). It was bitterly cold in the back of the house, so we only used the front kitchen and living room. Going to bed was a mad dash, armed with a couple of water bottles each. Waking up in the morning, seeing our breath steam across the bed covers was no invitation to get up either! The lake at Puydarrieux is alive with birds spending the winter, trawling the shallows. We have been down several times, but one cannot come too near. 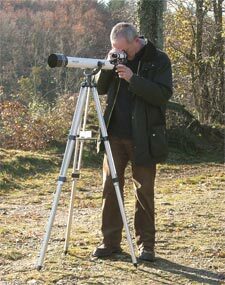 With our binoculars, we can see all sorts of ducks, geese and the beautiful, elegant grey cranes that come from Eastern Europe. Perry built a bird table for the garden, which is a regular service station for the seed eaters to keep up their strength in the cold. We have added an update to the Nature page covering our winter visitors. Mid December... "We need a Christmas card, call Perry". They did. So this December, right up to the bell, was full of last-minute cards, mailings and other fun. All slightly panicky projects that needed to get out of the door before Santa turned up. But hey, that's what we're here for. Here's one we like. Just before Christmas, we flew up to Paris and to spend five days in the bosom of Caroline's family at the family house in northern France, on the Somme. The trip was almost seven hours, door-to-door. Driving would have taken ten hours. Funny how now that we live in France that the trip takes three times as long as it used to when we lived in Holland! The next few days were very relaxed. No TV, no presents, just good food, good company and lots to read. Perry even got to see his favourite cheese counter lady at the Intermarché in Pèronne. Corinne is a big fan of Perry's since he started visiting the supermarket five years ago. They often have a long chat and he always leaves with enough cheese to feed an army. It's a shame she doesn't get any commission! we spent at Eric and Elisa's. They invited us to join them and another Dutch couple, who were to stay with them during a walking holiday. Starting with a hefty, two hour walk with the dogs, we settled in for an evening of culinary delights. Smoked herring and stuffed quail, followed by chestnut and chocolate mousse. Eric stole the show with his home-made oliebollen, a sort of raisin doughnut which is a Dutch speciality around Christmas. The conversation concerned possible futures in deer farming, goat cheese making and the possibilities of deer carpaccio. Perry leading the way, being fueled by an excellent Madiran wine. A lot happened this year. 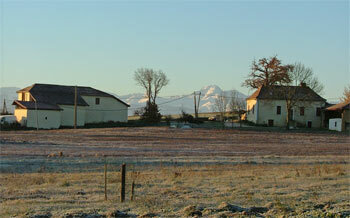 We bought a farmhouse, lost a cat, started major renovations and created an Enterprise under French law. Piles of letters, forms and phone calls were made, all in French, to get things done. We made lots of friends in and around the village and had the support of family and friends, as well as new aquaintances we made via our website. There is a new roof, bathroom and kitchen to be created this year. The Antoinette barn needs structural attention and we intend on getting a dog. That should be enough to keep us busy. Our first guests of the year arrive in a few weeks and we are sure that many more will follow. But do bear in mind that our house is a 'work in progress' and that we also have to work to earn enough to pay for it all and have some over for the small luxuries in life. There will be moments when the kitchen, shower and guest bedroom will be 'out of service', as the renovations take shape. 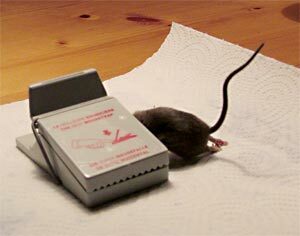 An exciting, but not always convenient process! We hope that you keep visiting our site, since it takes time to maintain. Perry keeps wanting to redesign and improve, so don't be surprised if it takes on yet another form in the future.